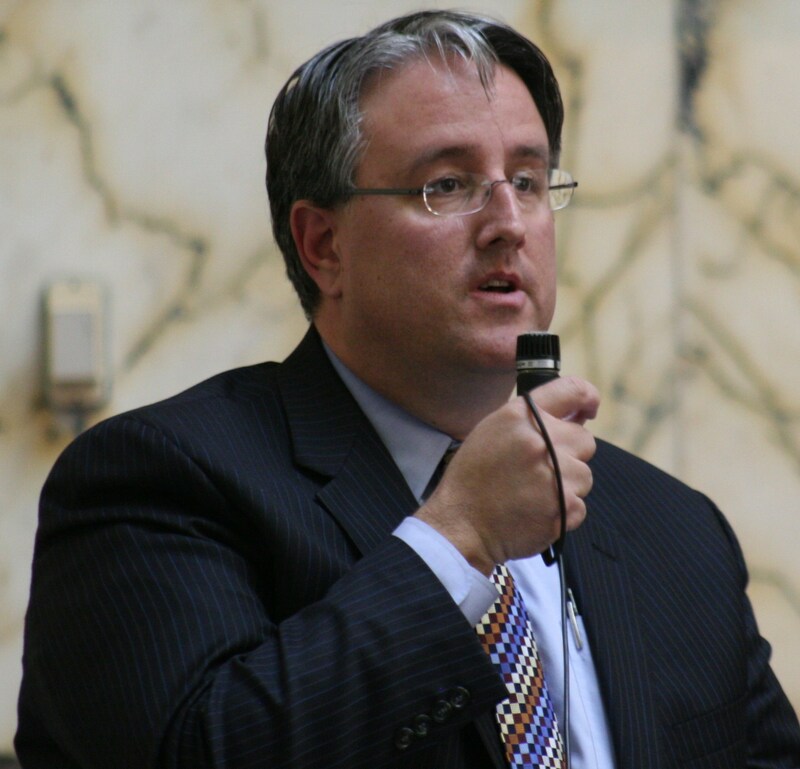 Sen. Richard Madaleno said Thursday on the floor of the Senate he was shocked by the news that Maryland will not be replacing old touchscreen voting machines with more advanced technology before the 2014 election. “I was under the impression that we were going to have new voting machines in place by then,” Madaleno said during debate on a bill to make voting easier. He added he was concerned that an amendment on that bill calling for the State Board of Elections to research voters’ wait times would distract the board from the urgent task of purchasing modern voting machines. “I’m worried that we’re inadvertently giving the State Board of Elections an excuse to say that they’re not able to get the new voting system,” said Madaleno, a Montgomery County Democrat. The amendment was later passed. The House Appropriations Public Safety and Administration Subcommittee Wednesday approved language saying that the governor should provide funding for an optical scan voting system in next year’s budget. This new voting system would provide paper receipts that could be used for an election recount. Sen. James Robey, a Howard County Democrat, assured Madaleno that the old voting machines would be replaced by 2016, but he emphasized that the Board of Elections did not have the funds nor the time necessary to replace the voting machines before then. Madaleno said that this was not acceptable, since Maryland’s current voting machines do not provide a paper trail and cost the state millions of dollars to maintain. Sen. Edward Kasemeyer, a Democrat representing Baltimore and Howard counties, agreed. He said the continued use of touchscreen voting machines would prove disastrous in the event of a close election, since it would be impossible to conduct a recount without a paper trail. Sen. Roy Dyson said that Maryland’s current voting system was reliable and that concerns about inaccurate vote counts were unwarranted. Dyson, a Democrat representing Calvert, Charles and St. Mary’s counties, also emphasized that the transition to new voting technology was coming and that it was “inevitable.” But Madaleno was unconvinced. “I’m glad you’re saying it’s inevitable, but every time we get close, the Board tells us it’s impossible,” Madaleno said, referring to the fact that state funding for revamped voting machines was revoked twice during the recession. “Well then, the impossible is about to happen,” Dyson said.